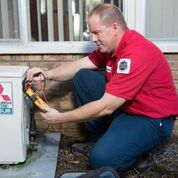 Brad Dilmore, Roussos Air Conditioning staff member, became NATE-certified for Air-to-Air Heat Pump. Jerry & Simon were very professional during the installation of our new system. They answered all our questions and cleaned up afterward.